To provide a creative and challenging curriculum for ALL in a safe environment while nurturing the values of responsibility, respectfulness and a desire for learning. Our annual Winter Concert took place on Tuesday December 18th before a packed house! This year's concert featured our beginner and advanced bands, our third grade recorder players, our 3/4 chorus, our 5/6 chorus and two soloists. It was a special evening that showcased the musical talents of our AES students. Special thanks to Mr. Piros for all of his efforts! Be sure to check out the picture gallery inside! Andover Elementary School students and staff celebrated Pajama Day on Friday December 14th and helped the Connecticut Children’s Medical Center raise funds for their center for cancer and blood disorders. Schools and businesses across the state participated in this special spirit day. AES is donating one dollar for each student and there is a link for Andover families to make additional donations on the CCMC website. Be sure to check out the picture gallery inside! Andover Elementary School invited parents, grandparents, aunts, uncles and siblings to our annual Intergenerational Day on the day before Thanksgiving. Our visitors were treated to special classroom presentations, games and activities. Be sure to check out the picture gallery inside! 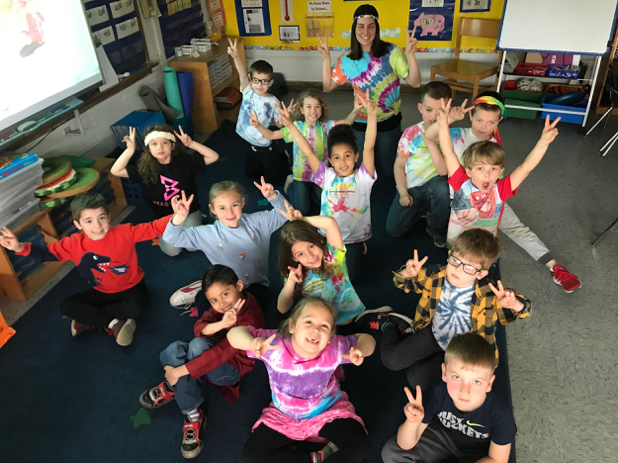 Staff and students celebrated 70’s day on Friday as they headed into April vacation! Tie dyes, flowery clothes and flowing hair were all on vivid display. Be sure to check out the photos at the end of the Scoop and enjoy your week off! 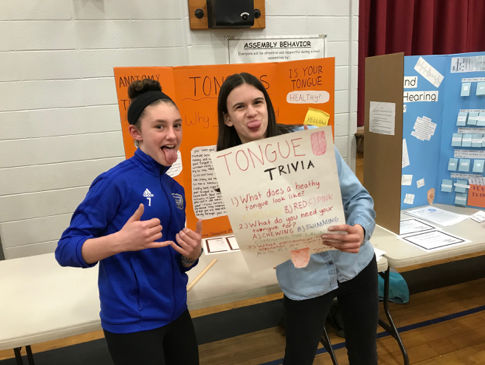 Scientists of all ages put their experiments on display on Thursday evening during Andover’s annual PTA Science Fair. 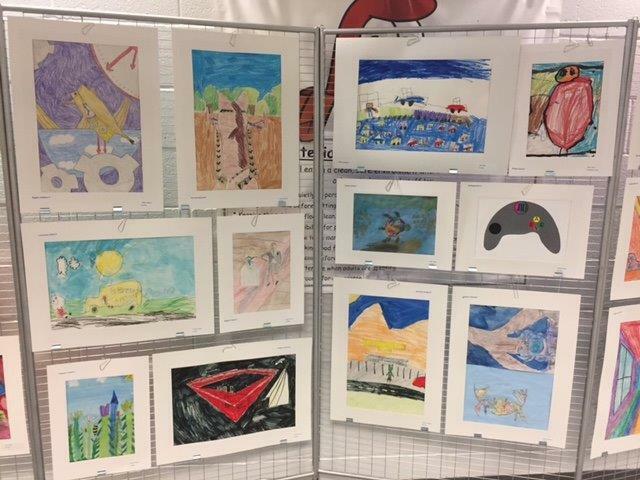 Every fifth and sixth grade student was involved in creating a project for the fair and we had many K-4 students participate as well. 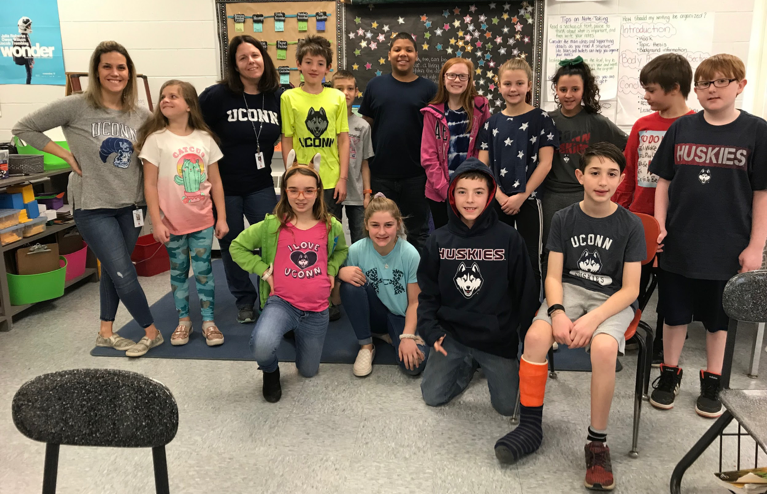 AES students and staff showed their Husky Spirit on Friday as March Madness continues for the Lady Huskies. They play Louisville today at noon for a trip to the Final Four in Minneapolis! Be sure to check out more of our spirit photos at the end of the Scoop! Click here to visit the AES Art Department Pages.